This isn't normally something I blog about, but I figured since I've been making a lot of this and eating tons, you might enjoy it too! 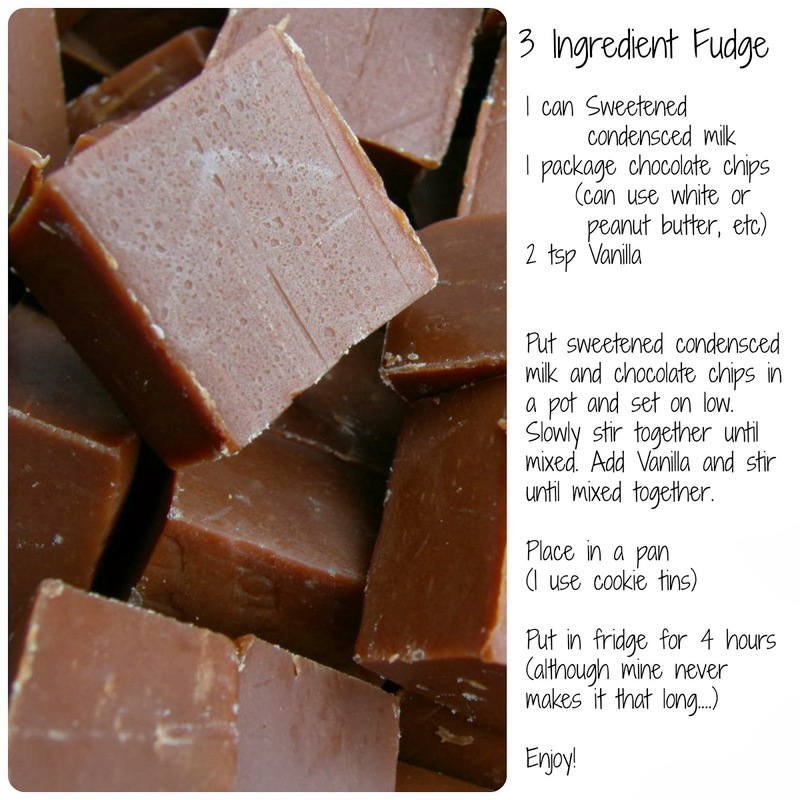 So, here is my 3 ingredient fudge recipe. I'm totally joking. I am not a chef. And although I do make a mean cookie, everything else I cook is super basic. But this is something I've made since I can remember and I love the stuff. Super simple and I've never had a bad batch! Note: For a chocolaty fudge use more chocolate chips! YUM! And I already have all the ingredients. Thanks for sharing! hmmmm...that looks really good :) Maybe I will surprise Tim one of these days. I know he has always loved the fudge you make! Love ya! I am going to have to try your fudge recipe! It looks so easy and yummy!